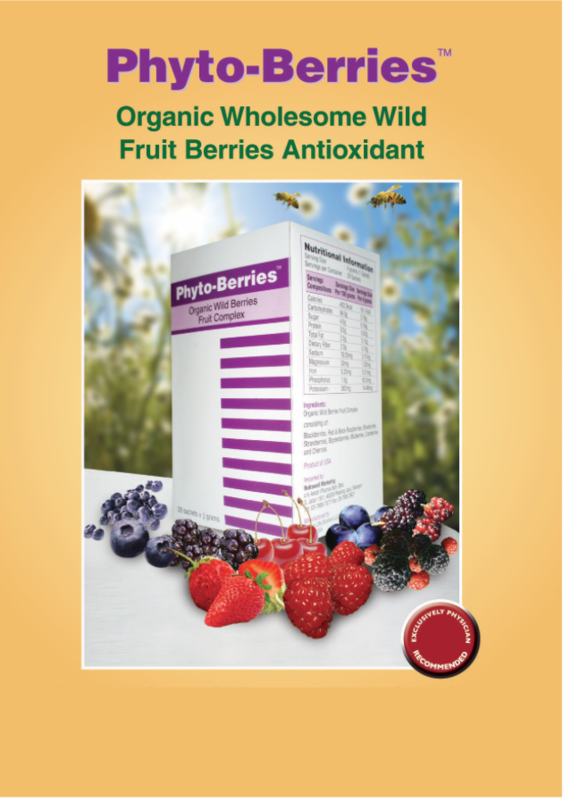 Phyto-Berries is a delicious berry fruit beverage in cold spray dried powder form to retain all important vitamins and phytonutrients. 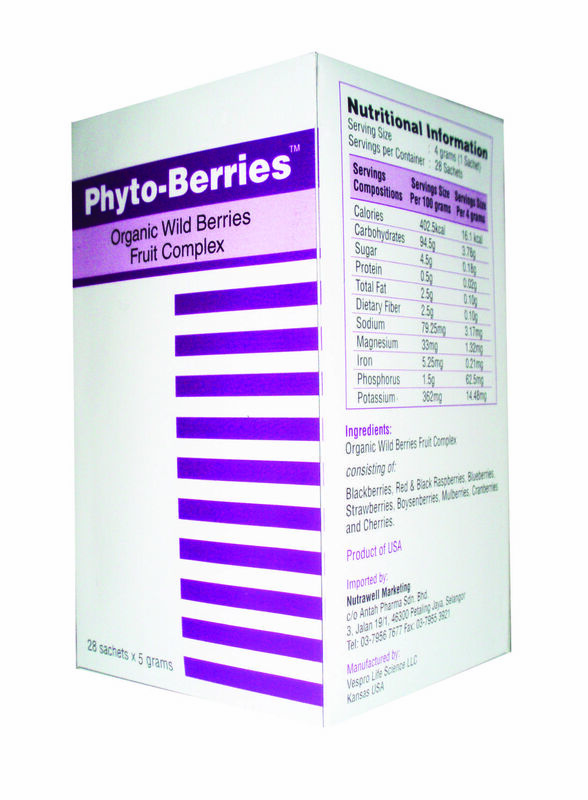 It is made from 9 different types of berries from Maine, California and North Carolina organic farms. 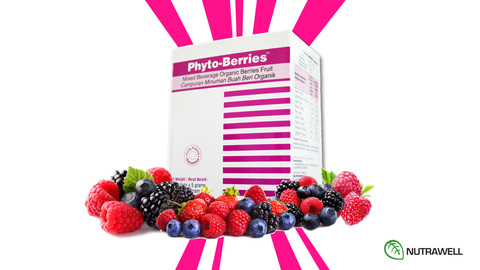 Berries are rich in Phytonutrients, vitamins and well known for their high ORAC value. Blackberries, Red & Black Raspberries, Blueberries, Strawberries, Boysenberries, Mulberries, Cranberries and Cherries are specially selected to be key ingredients. Research has shown ORAC capability in food/fruits have greater effect than each individual vitamin nutrient consumed together. The reason is food and fruits contain Flavonoids, Anthocyanin, and Vitamins therefore, improving ORAC capability. Flavonoids are water soluble plant pigments found in dark colour fresh fruit and vegetables and are powerful free radical scavengers. Tear open the sachet from top and mix it with 1/2 a cup or more of normal temperature or chill water. Mix with juice for palatable taste. Take 1 or 2 sachets per day after meals, as advised by your healthcare provider.